The Limbuwan-Gorkha war was a series of battles fought between the king of Gorkha and the rulers of various principalities of Limbuwan from 1771 to 1774 AD. The war came to an end in 1774 with the Limbuwan Gorkha treaty which recognised Limbu peoples’ right to Kipat land in Limbuwan and full autonomy. 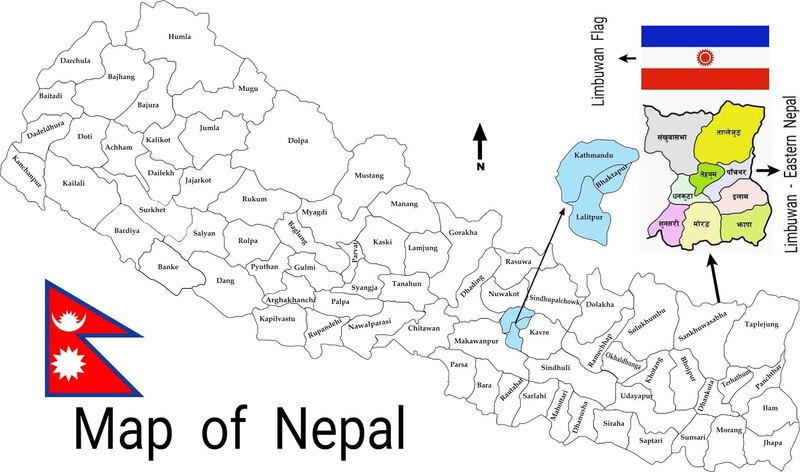 After the conquest of Majh Kirant (Kirant Rai kingdoms) by the Gorkhas, they invaded Limbuwan on two fronts. One front was in Chainpur (present-day Sankhuwasabha District) and the second front was in Bijaypur (present-day Dharan, Sunsari District). Bijaypur was the capital of the Morang Kingdom of Limbuwan. In 1771 AD, the Gorkhas, with the view of attacking the land of the Limbus, crossed the Arun River. When the Limbu kings learned this, they brought their forces and fought a decisive battle on the banks of the Arun and Sowa rivers (in present-day Sankhuwasabha district). The generals of the Limbu army were General Sanbotrey, General Tesakpa, General Kangkarey and Commander General Kangso Rey. They made their fortifications on the banks of the Sowa River and fought bravely against the invading Gorkhas. During the first battle, eight or nine Gorkha soldiers fell at each volley of the Limbu archers. The Limbu army drove their enemies back from their land and, despite the Gorkha king sending frequent reinforcements, the Limbu army kept fighting for three years. The Limbu army drove their enemy back to a distance of about nine days and killed many Gorkha soldiers by guerrilla warfare in the eastern hills. During this first battle of Chainpur, the battlefield was the area between Chainpur and Dumja. In 1774 AD, Gorkha forces again came to the banks of the Arun River to fight with the Limbu forces. Raghu Rana, a junior officer of the Gorkha force, asked the Limbu commander to fix a day for a combat between the commanders only. He proposed that the rest of the soldiers should leave their weapons at their base and attend the duel of their two commanders as spectators only. They agreed that the winner would win the battle and control of the armies. On the morning of 25th day of the month of Baisakh of Bikram Sambat 1831, corresponding to the first week of May 1774 in the Gregorian calendar, all the soldiers of both sides stood on the upper and lower sides of the fighting ground situated on the southern side of Chainpur town. The combat between the Limbu General Kangso Rey and Gorkhali General Raghu Rana started. The soldiers stood watching, while the generals fought till afternoon. In the afternoon, Kangso Rey finally smote Raghu Rana a blow that killed him. Watching the defeat of their general, the Gorkha force immediately picked up their hidden weapons and attacked the Limbu General Kangso and his soldiers. Kangso died in the battlefield and the Limbu armies fought the Gorkhali army on the way to the Tamur River and by closing their way towards the river killed all of them. The Limbu forces then buried the bodies of Raghurana and Kangso on the upper and lower sides of the fighting ground and erected stone monuments over their graves. After the annihilation of the Gorkhali army during the second battle of Limbuwan in Chainpur, King Prithivi Narayan Shah sent an army under the command of General Ram Bhadra Thapa Magar. This time the Limbu officers were General Manjit Rey, General Motreye and General Birjit Rey. When the Limbu forces heard about the arrival of the Gorkha forces at Chainpur, they made traps by digging trenches along the path leading to the town of Chainpur and set up ambushes along the traps. The Gorkhali forces made their way to Chainpur again and were killed in an ambush and guerrilla warfare. The news of the battle of Chainpur reached the Sikkim palace. The Sikkimese King Tenzin Namgyal, having alliances with the Limbu Kings, declared war against the Gorkhas. By this time, the Gorkhas declared ceasefire with the Limbus and the battle of Chainpur came to an end. In the mean time, Gorkhali representatives were negotiating peace terms with the Limbu ministers in Bijaypur, capital of Morang kingdom of Limbuwan. Bijaypur (near present-day Dharan, Sunsari district) was the capital town of lowland Limbuwan kingdom of Morang. It was ruled by King Buddhi Karna Raya Khebang. King Buddhikarna Khebang was the descendent of the ruler King Muray Hang Khebang of Phedap Kingdom and King Muray Hang’s descendents were made the hereditary prime ministers of Morang Kingdom starting 1584 AD. Bijaypur was a very renowned town and thus it was not easy to conquer for the Gorkhali king, so he sought help from the British. But King Buddhikarna Khebang of Morang was already in close contact with the British, Sikkim, Bhutan and Tibet. When King Buddhikarna came to know that the neighbouring kingdom of King Karna Sen was annexed to the Gorkhas, he was determined to bring help from the British. King Karna Sen, his famish and his minister Agam Singh fled and came to take refuge at Bijaypur palace. King Buddhi karna gave charge of his state affairs to his Chief Minister ShriShun Raya Chemjong and went to Calcutta to ask for military help. In 1773 AD, the governor general Warren Hastings was in Murshidabad at the time, so Buddhi karna went and sought help. It was agreed that British soldiers would help protect the Morang kingdom from the invading Gorkhas. With this assurance King Buddhi karna wrote a letter to King Prithivi Narayan not to invade Morong because he had British help on his side. But soon King Buddhikarna realised that the Gorkhali king had also written a letter to the British against him and realised he would not get any help from the British. He then went to Tibet to ask for help from the Chinese Emperor. During King Buddhi karna Khebang’s absence in Bijaypur, the Gorkha king sent his army to Bijaypur town to capture it. The Chief Minister Shrishun Chemjong and ministers of the time Shrikum Phung and Srijung peacefully surrendered themselves to the Gorkha king on the condition that they would be given full autonomy in Limbuwan. 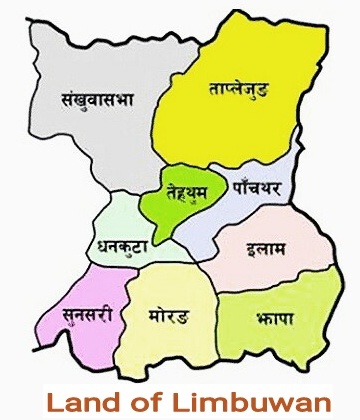 Thus, in August 1774, the Gorkha King Prithivi Narayan Shah’s representatives Abhiman Singh Basnet, Parath Bhandari, Kirti Singh Khawas and Bali Baniya met the ministers of Morang state and agreed to come to good terms with the Gorkha kingdom and accept the Gorkhali king as maharaja and that in return the kingdom of Gorkha would retain the right of self-government of Limbu rulers in their kingdoms.